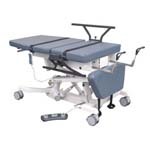 The Sound Pro Combination Table combines the imaging features of both the Ultra Pro and Echo Pro tables. 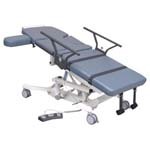 The Ultra Pro Ultrasound Table is a dedicated table for all general ultrasound procedures including OB/GYN. 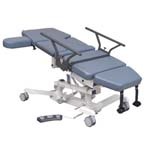 Similar to the Ultra Pro, the Econo Ultrasound Table is offered without Trendelenburg positions or central locking casters. The Echo/Vasc Pro Vascular Ultrasound Table is the logical choice when performing vascular scanning and echocardiography. 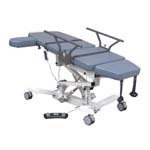 The Vasc Pro Vascular Ultrasound Table is the economical choice when performing vascular scanning. 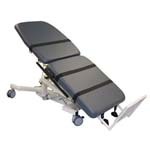 The table design will help improve images by providing a dramatic 30-degree reverse Trendelenburg. 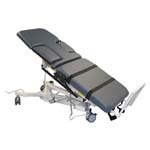 The cardiac scanning cutout of the Echo Pro Echocardiography Table provides open access to the patient's left thorax area. 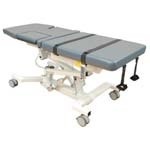 Similar to the Echo Pro, the Econo Echocardiography Table is offered without Trendelenburg positions or central locking casters.